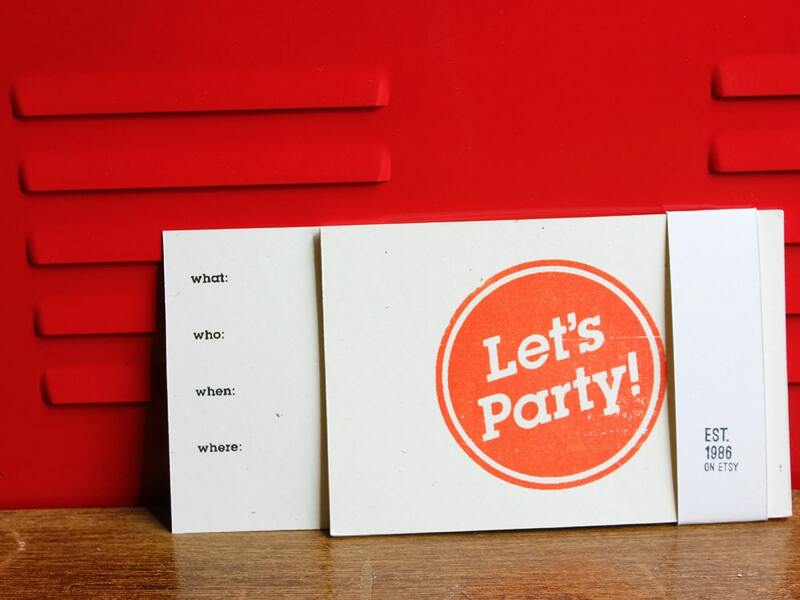 4x6” party invite postcards. Front is hand mixed orange acrylic ink printed on 140 lb. Muscletone cover stock from French Paper Co. Back is printed in black with space for all your party information. 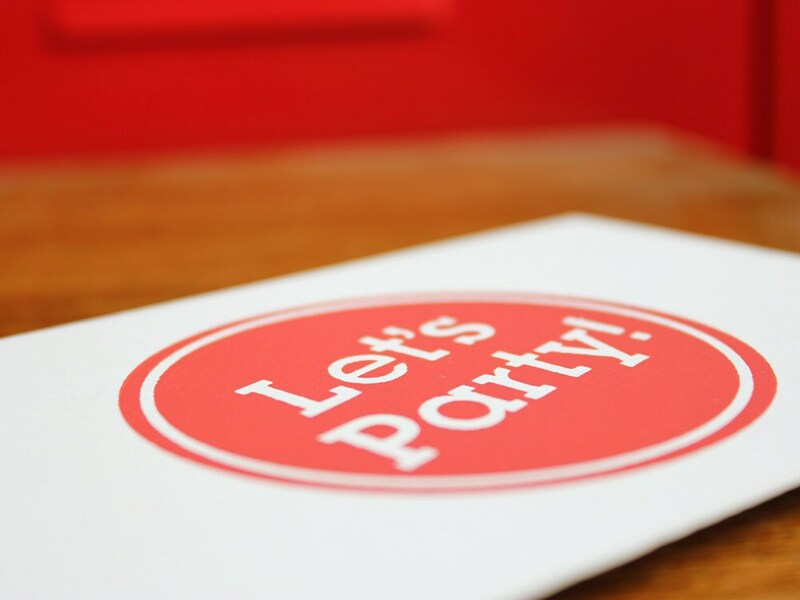 These invitations are simple, fun and adds a personal touch to any party. Each print is pulled by hand and will contain some unique imperfections. Color may vary.